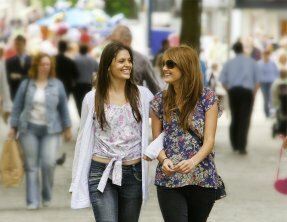 Prominently situated at the heart of the City Centre, Oxford Street is one of the main shopping areas in Swansea attracting over 50,000 visitors a week. Miss Selfridge, Marks & Spencer, H&M, Next, Topshop, River Island, Sports Direct, CEX, Office, and Peacocks. In addition to these retailers there is also the book store Waterstones, and Starbucks coffee, as well as a variety of smaller shops on the street. The area is popular for street entertainment, busking and special promotions throughout the year. As a key access route into Swansea Market, the Quadrant Bus Station and the arcades, it also provides a direct route to Castle Square, popular with residents and visitors at lunchtime and a venue for outdoor events. Further along Oxford street you’ll also find a great selection of smaller independent stores that offer unique gifts and products. For a sneak peek at the variety of shops click here for more information.